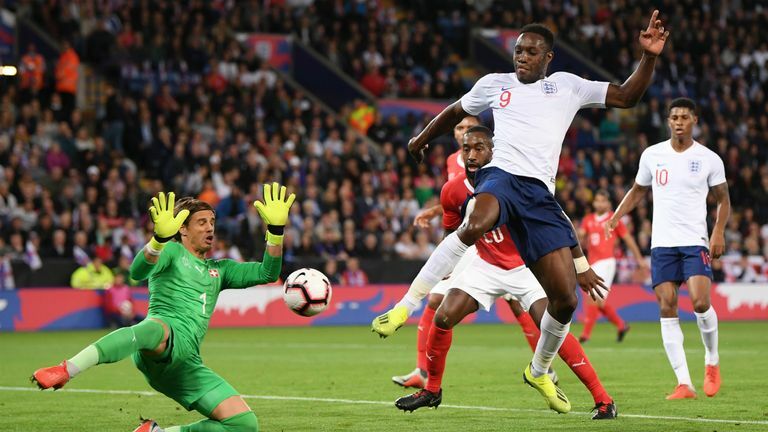 Gareth Southgate has defended his decision to bring on Kane for England in the 1-0 friendly win over Switzerland on Tuesday, amid fears the Tottenham striker is nearing burnout. Kane has scored two goals in six games for club and country this season, and Tottenham play host to Liverpool in the Premier League live on Sky Sports from 11.30am on Saturday. I'm concerned about Harry Kane. Since 2015, Kane has played 175 matches. Forget the physical side, he needs a mental break as well because he's struggling. I don't think he should have been here for the two weeks. There was a welfare thing for me in terms of looking after players and he's not had enough break now since 2015. I do remember a similar situation myself, accumulation from Euro 96 through Le Tournoi in 97 to World Cup 98 in France. In 1999 I blew up and in 2000 I was finished. For about six to eight months I really struggled mentally and physically. I'm not saying Kane is in that same situation because I don't speak to him but he just looks to me at this moment in time that he needs looking after. I think it was the Colombia game during the World Cup and I thought he's done, he's finished, he can't move. He literally could not move and certainly in the Croatia game he was physically struggling. For me, he needs a real break and that escape. Jamie Redknapp: "Give him a short break"
It's a great point. I looked at Cristiano Ronaldo this week and he's on a holiday with his family. Whether it's a week or just five or so days, it's just that break away from it. Harry's in that bracket where if he's not scoring sometimes he can look a bit sluggish and even just mentally it would do him good. What are we going to learn by playing him? We know Harry Kane is a great player. Jamie Carragher: "He doesn't look 100 per cent"
With Kane I always think he's a safe bet when you give him the ball. He's got that upper body strength, holds people off and brings people into play as he did for the first goal against Spain. But he looked sluggish in possession and he was getting knocked off the ball. Sometimes that comes from physical tiredness but also mental tiredness and you are not quite there. I agree, I think it is an accumulation of games but he's never looked 100 per cent right since the injury he picked up with Tottenham a couple of months to go in the season. He still got goals but he's never quite looked like the Harry Kane we know. Alex Scott: "Mental fatigue exists"
Sometimes it's hard for people that don't play the game to understand. They say players get paid so much money, they need to play every week and what are they moaning about. But there is mental fatigue. Kane will want to keep playing and keep going, but maybe he doesn't even know. He's probably frustrated in himself with his performances but it is just that mental fatigue as to why he needs a mental break, and he will come back better and fresher.